Pirbright Parish, in the borough of Guildford, has an area of some 1902 hectares (4711 acres), with a total population of 3691 (census 2011). 1493 of the population were recorderd as resident in the village with the remainder living in outlying settlements and in the military area to the north of the railway. The village is almost entirely surrounded by heathland, much of it owned and used by the MoD. Alternatively please call in at the Green Hut Meeting Room, which is adjacent to Lord Pirbright's Hall. It is open to the public on Monday and Thursday mornings, 10am - Noon and at meetings of the Parish Council. Meetings of the Council and its committees are held at the Green Hut Meeting Room and are open to the public (see notice boards and website for dates and agendas). It is the aim of Pirbright Parish Council to promote the health, vitality and well being of the community within the Parish, to protect and enhance the environment of our village, the countryside in which we are situated and the quality of life for our residents and visitors. The Parish Council aims through our work to encourage community engagement, promote inclusion and support the activities, life chances and aspirations of our community. We do this by setting objectives that address planning, transport, the environment & community initiatives and through our general work. The Parish Council acts as a liaison between the parish and borough and county councils and also submits an opinion on all planning applications in the parish to Guildford Borough Planning Department. 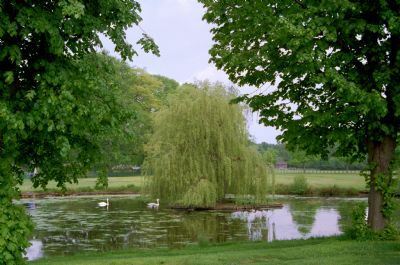 The work of the Parish Council is funded by a council tax precept (supplement), from which the village green, its footpaths, car parks, trees, children's playground and the war memorial are maintained. 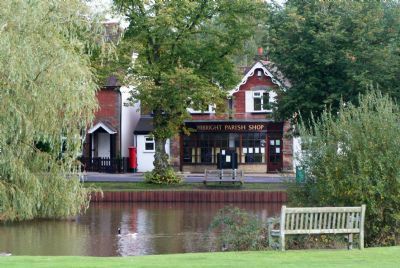 Like other organisations in the UK, Pirbright Parish Council is required to observe the new regulations that came into force in May 2018. You can see more about this on the Governance page. Burnham Clinton - following Burnham's funeral, Sally Clinton wrote a detailed, beautiful letter of behalf of her family, which is printed on the Community News page of this website.